The Learning Paradigm College presents a new lens through which faculty and administrators can see their own institutions and their own work. The book examines existing functional frameworks and offers a way to reenvision and recast many familiar aspects of college work and college life, so that readers may better understand their learners and move toward a framework that focuses on learning outcomes. 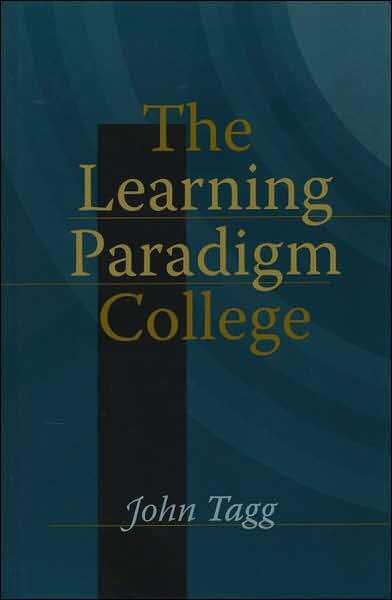 Divided into five parts, the book introduces the Learning Paradigm, concentrates on understanding our learners, provides a framework for producing learning, discusses the six essential features of the Learning Paradigm college, and focuses on how to become a Learning Paradigm college. This entry was posted on	Wednesday, December 3, 2008 at 10:28 am	and is filed under general interest, Learning College Collection.